And they used one of my photos in the article too! 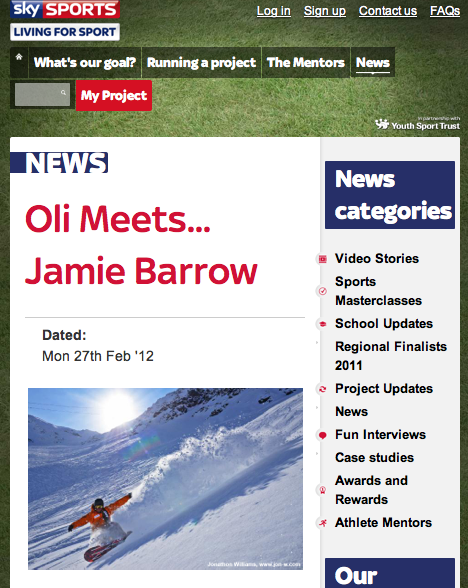 Jamie will be in Verbier, Switzerland, to try and break the UK speed record of 130 kmph on a snowboard. He’ll get three runs on the day and I’ll be there to video and photograph every second. I’ll follow up this post with a blow by blow account of how I’ll be planning, shooting and editing the event. We have some support from the mighty Redbull, Sky Sports and Keslar Snowboards so I need to get my game face on!